Preview the theme options and find out what makes Mingle different from other themes. View admin screens to see the available settings. Mingle gives you complete control over the design and functionality of your site. Blogs can be inserted using shortcodes. 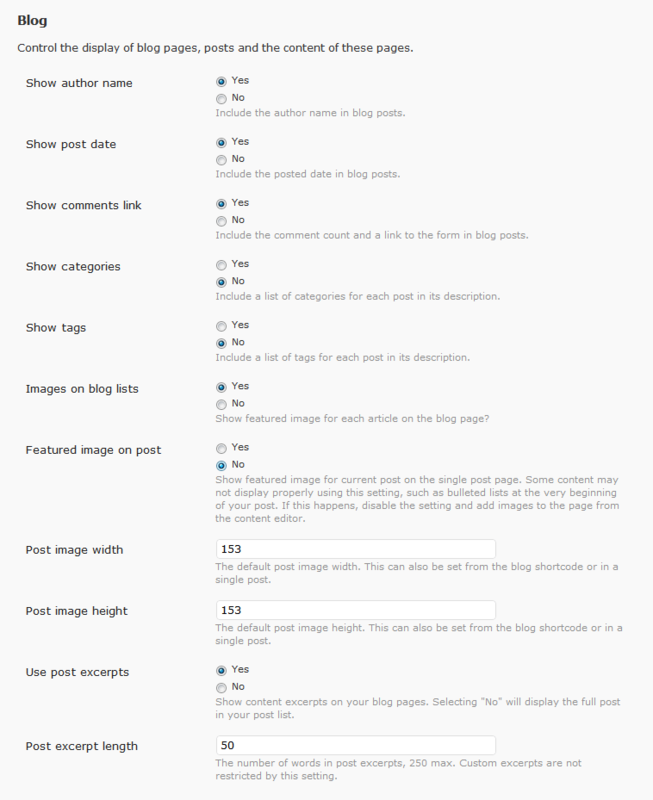 Blog post lists can be generated from any post category or page list. Output blog post lists using the “blog” shortcode. Specify image size for featured image, or choose no image. Set number of posts per page. 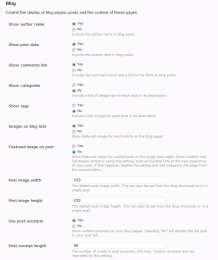 Configure post details: Title, excerpt, post date, comments link, author link. Display posts by selecting categories. Display posts by selecting pages or all child pages from a chosen parent. Above is an example of a blog shortcode using only the category selector. It does not specify most options, instead relying on the default set in “Settings > Theme Settings > Blog“. A query to select posts from categories. This query selects all child pages of the specified parent. The shortcode must contain post_type="page" to select pages rather than posts. A complete list of all shortcode parameters is available on the blog shortcode page.